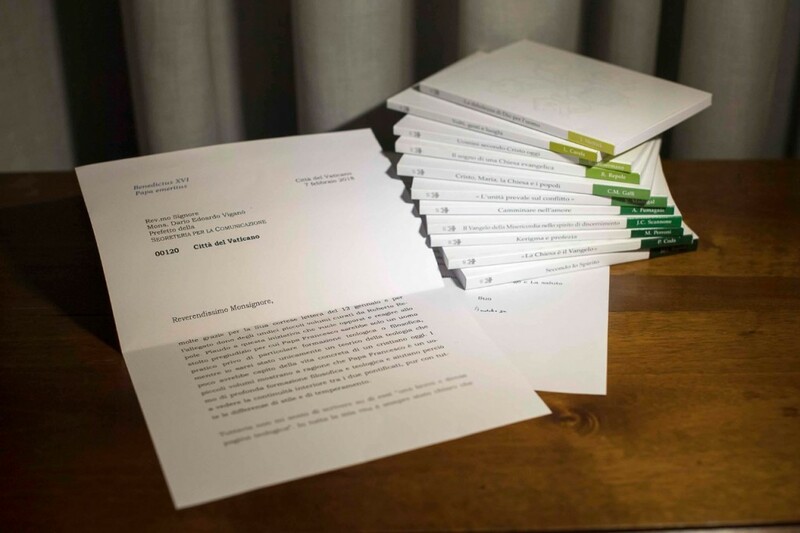 Benedict’s letter: Real, forced, or fake? What shall we make of this? Is it real? Was it forced? Is it fake? First, let’s be clear; Ratzinger is a modernist; a man whose own theological writings were such that he was held under “suspicion of heresy” by the Holy Office just half-a-dozen decades ago. Sure, there are certain noteworthy aspects of the Bergoglian agenda that stand in stark opposition to Benedict’s pontificate. The first that comes to mind concerns the matter of Holy Communion for those who intent on persisting in adultery and fornication. Another would be their respective views of matters liturgical. Even so, at the end of the day, both Ratzinger and Bergoglio are cut from the same conciliar cloth; a fabric woven of fundamentally flawed threads that one can easily discern as running through both of their “pontificates” (if you will allow). This includes such things as an exaggerated reverence for man, a diminished image of Jesus Christ, and a distorted view of His Church and the mission that He gave to her. Francis is pushing a theology of Mother Earth and a radical brand of environmentalism. He has decried “sins against creation” and has even gone so far as to pledge the Church’s support for United Nations sustainable development goals. Indeed, questions of security, development goals, reduction of local and global inequalities, protection of the environment, of resources and of the climate, require all international leaders to act jointly and to show a readiness to work in good faith, respecting the law, and promoting solidarity with the weakest regions of the planet. My dear friends, God’s creation is one and it is good. The concerns for non-violence, sustainable development, justice and peace, and care for our environment are of vital importance for humanity. It now becomes clear that the real heart of faith in the resurrection does not consist at all in the idea of the restoration of bodies, to which we have reduced it in our thinking; such is the case even though this is the pictorial image used throughout the Bible. Francis, like all of the conciliarists, has apparently rejected the idea of a teaching Church that is charged with condemning errors after the example of, and with the authority of, Christ. 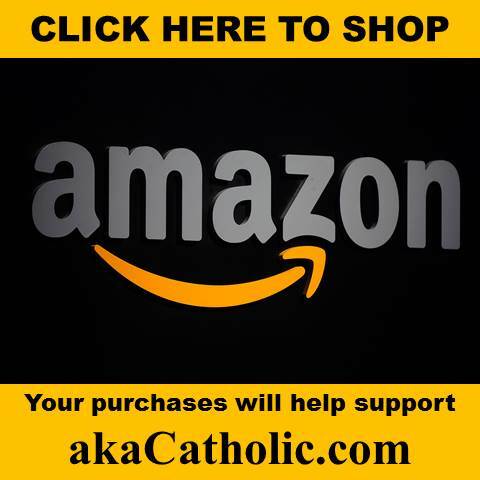 Do you need to convince the other to become Catholic? No, no, no! Go out and meet him, he is your brother. This is enough. Go out and help him and Jesus will do the rest. Presumably you get the point. In other words, the letter could very well be real. One may recall the comments that Benedict made in June 2016 during the celebration of the 65th anniversary of his ordination to the priesthood held in St. Peter’s Basilica. We hope that you will be able to move forward with all of us on this path of Divine Mercy, showing the way of Jesus, to Jesus, to God. These comments came less than three months after Amoris Laetitia laid out the Bergoglian path. In fidelity to the words of Jesus Christ, the Church affirms that a new union cannot be recognised as valid if the preceding marriage was valid. If the divorced are remarried civilly, they find themselves in a situation that objectively contravenes God’s law. Are we to believe that he had a change of heart and now believes that Francis is an oracle of mercy leading souls to Christ? What I suspect (and for good reason) is that Benedict is not free to express himself as he may wish. Heck, he’s not even free to go where he wishes to go! My state as a ‘cloistered monk’ does not allow me a presence that is also exterior. I leave my cloister only in particular cases, [when] personally invited by the Pope. What part of his so-called “resignation” Declaratio even hinted at him choosing to be “cloistered” and in need of permission simply to move about? The point is obvious, the letter could very well have been forced. 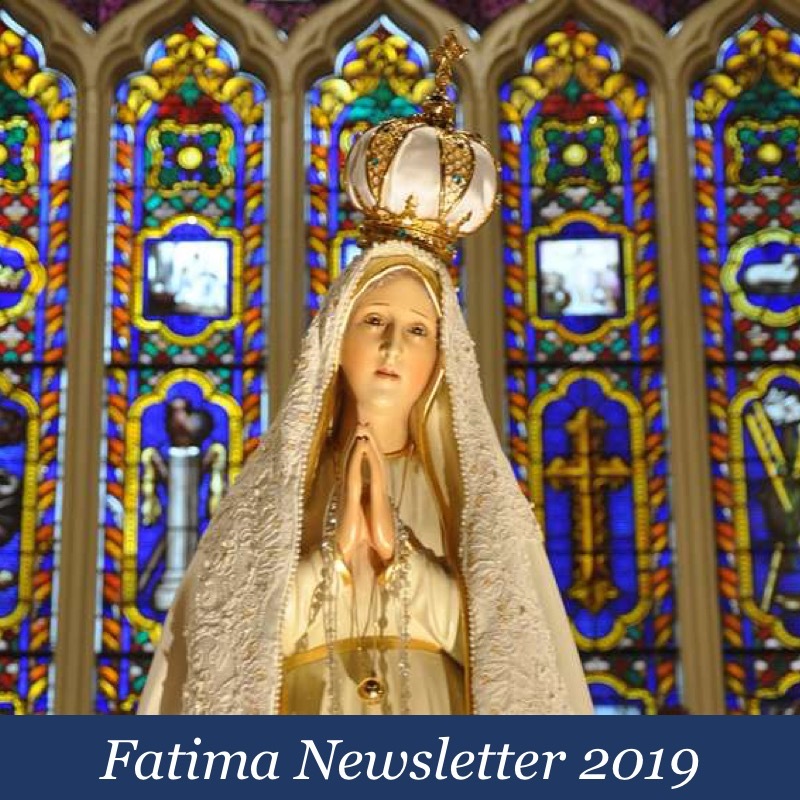 Please… This is the same Vatican that orchestrated the great deception concerning the Third Secret of Fatima in the year 2000 during the pontificate of John Paul the Great Ecumenist. Oh, yeah, that reminds me… they also have make believe canonizations to their credit. The letter could most certainly be fake. In the end – be it real, forced, or fake – it really doesn’t matter one way or the other. The only people who think for even a moment that Jorge Bergoglio is “a man of profound philosophical and theological formation,” are those who desperately want to believe as much. Up to this point, even his most devoted supporters have all but admitted that he is no such thing; preferring instead to paint him as a simple follower of Christ who wants to take the Church back to basics. The Theology of Pope Francis series is obviously nothing more than a shameless and rather transparent attempt on the part of the Church’s enemies to give Bergoglio’s blasphemous and heretical agenda the appearance of Catholicity. Yes, the letter could be fake, but history of the Church in the last few decades, speak volumes. With the reign of Pope Francis, all is clear, how ‘he was molded in the mind of his post-Vatican II predecessors.’ Thank you Louie. The letter is not fake. Pope Benedict has had nothing but good things to say about Pope Francis. And those who claim his renunciation was invalid are living in dreamland. He quite and is now in full support of his replacement. The scary thing is that both Benedict (especially) and Francis are extremely, EXTREMELY, intelligent men. In other words, their errors are not errors at all. I understand that some of us here are holding on to the possibility that Benedict was “forced” to resign and that he is still the “true pope”, but I believe that this whole resignation thing was a well orchestrated move, willingly agreed to by Fr Ratzinger, to get this man Bergoglio in charge. As Louie notes above, Ratzinger has never actually been a good person in regards to our Catholic Faith. When it comes to all these questions, I have made my life very easy. The V2 N.O. “church” is fake. It is based on deception and depravation. Nothing can be trusted. Therefore, I live my life outside of this false establishment and try to be as Catholic as I can, trusting in Our Lord’s mercy and Our Lady’s intercession. This decision has given me a measure of peace as I pray for all of us. I have been praying that for once and for all please Lord Jesus , show us if the present Papacy and the Vatican is to be trusted at all. How they respond to this will be a final litmus test to my mind. I suspect their response will be no response. Why? Because they can. Hate has nothing to do with what is written, only truth. I love Russia, I have many relatives there, my first language was Polish and Russian. What do you know about sufferings that so many Russians, Poles and others have endured from the ‘evil one’?…..only from books and articles maybe. I know first-hand…….Communism and Bolshevism is very alive, under many names. Your guide is Fr. Kramer, I get lots of information from traditional Catholics in Poland. ……to Bp. Williamson, Putin is returning Russia back to God. Sorry, I just can’t get this warm and fuzzy feelings for the man. Let us not be blind, but awaken, pray that God will humble enemies of His Holy Church! 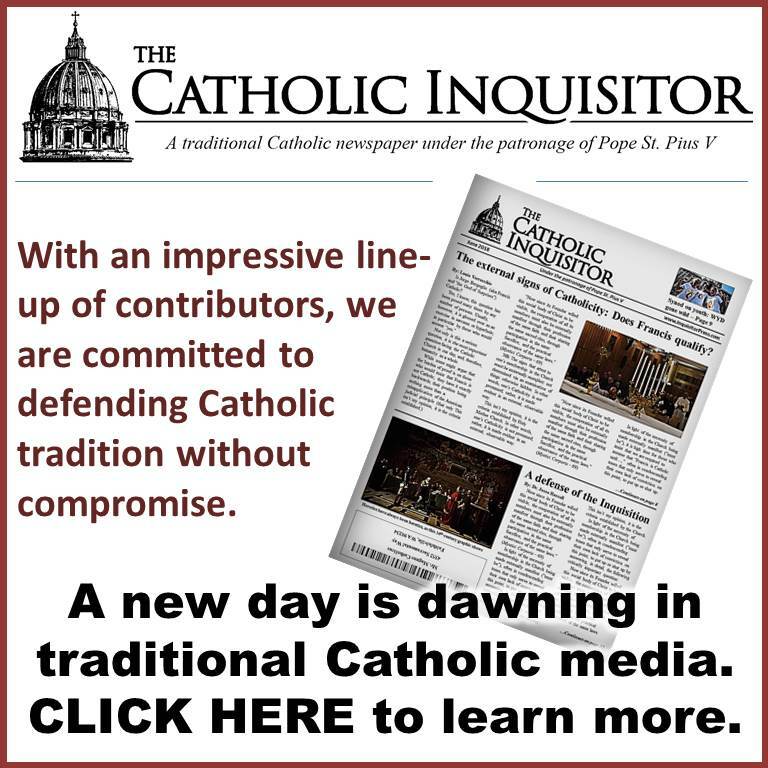 Please see the AP article by Nicole Winfield, “Vatican doctors photo of Benedict’s praise for Francis”–a Vatican-inspired propaganda project gone wrong! newsok.com/article/feed/1873750 The Remnant goes into more analysis: https://remnantnewspaper.com/web/index/php/articles/item/3789-more-fake-news-from-the-vatican-the-pope-in-the-attic-and-the-end-of-the-line-for-neo-catholicism It is all a fake from beginning to end and the faithful are the stupid sheep once more. 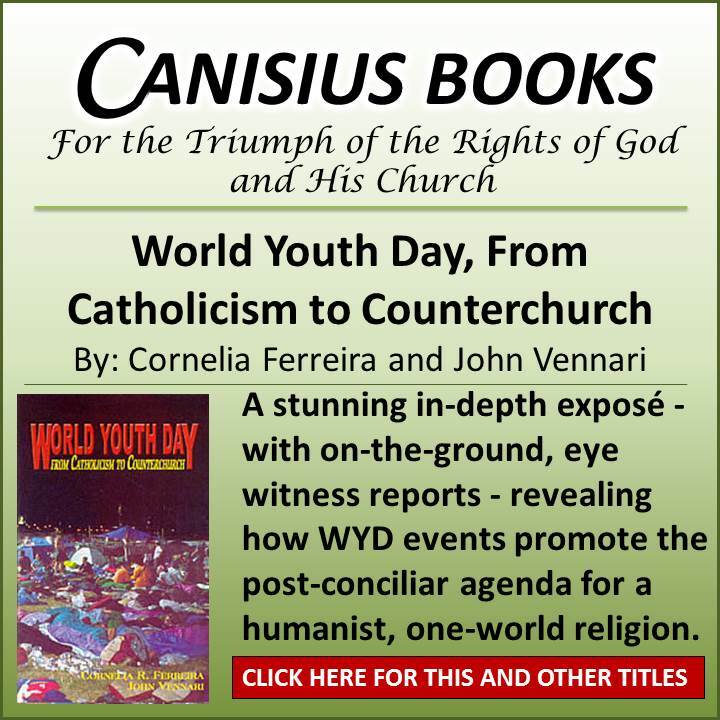 These Post councillor Popes are an outrage to anyone who owes his allegiance to Christ , and not these men who seem to be woefully lacking in common morality and Biblical ethics. Sedevacantism is sounding better and better. Too many are giving blind allegiance to these Pope’s, not understanding that they are just proxies for the true King, to whom we will all have to give an account.